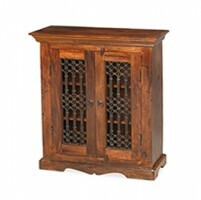 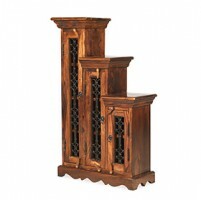 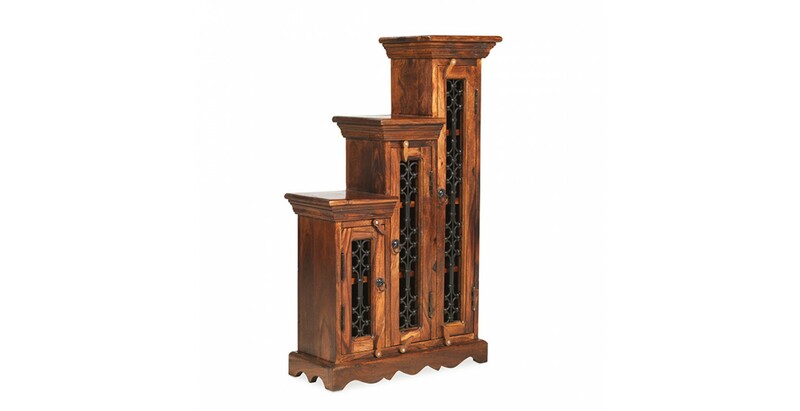 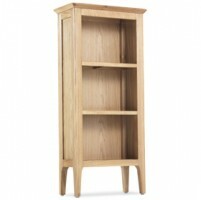 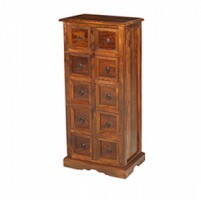 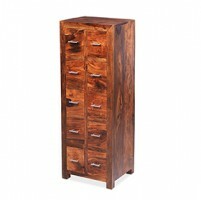 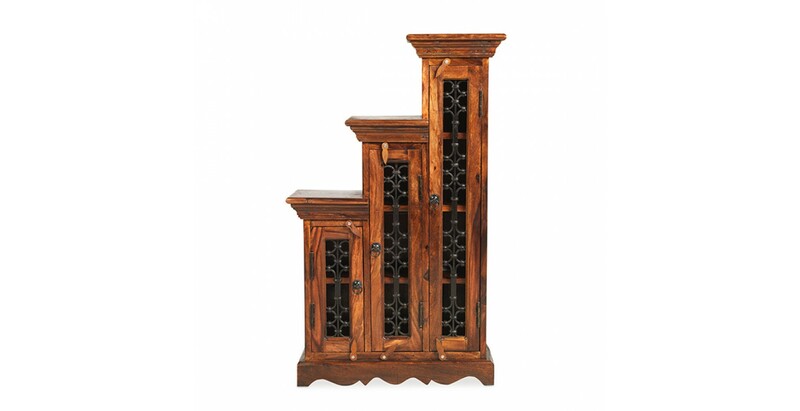 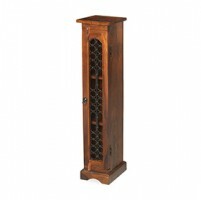 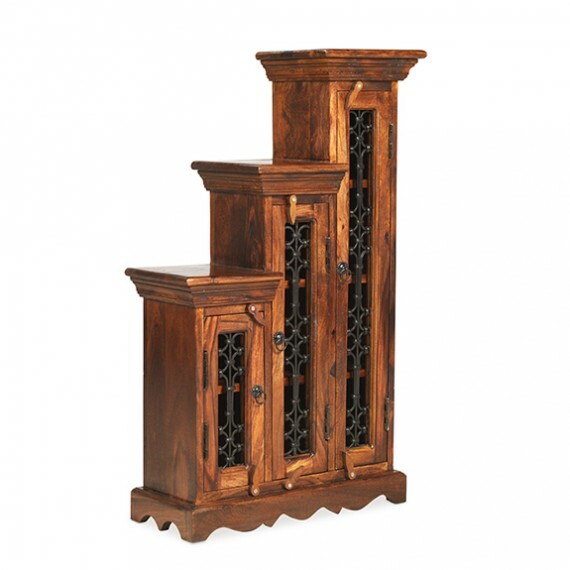 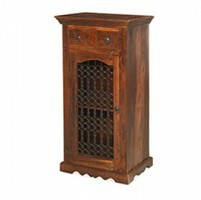 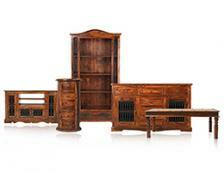 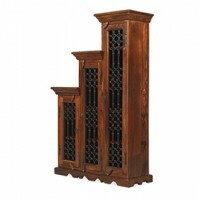 Whether you favour ELO or Elvis, this handsome stepped unit will look after around 140 CDs. 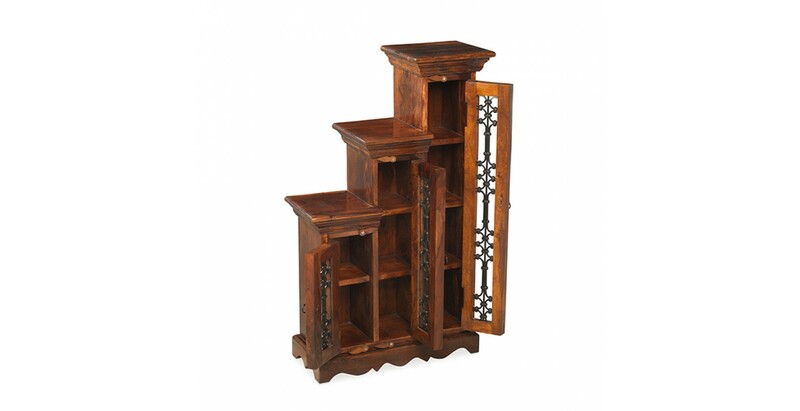 Handcrafted in India from dark-hued sheesham wood, its exotic appearance is influenced by the era of the Maharajas, with a tapered cornice on each column, wrought iron portcullis work, metal drop handles, wooden latches and a carved plinth providing visual appeal. 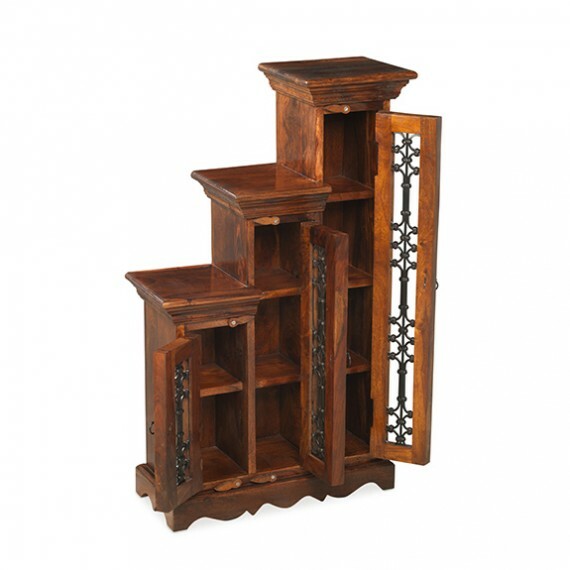 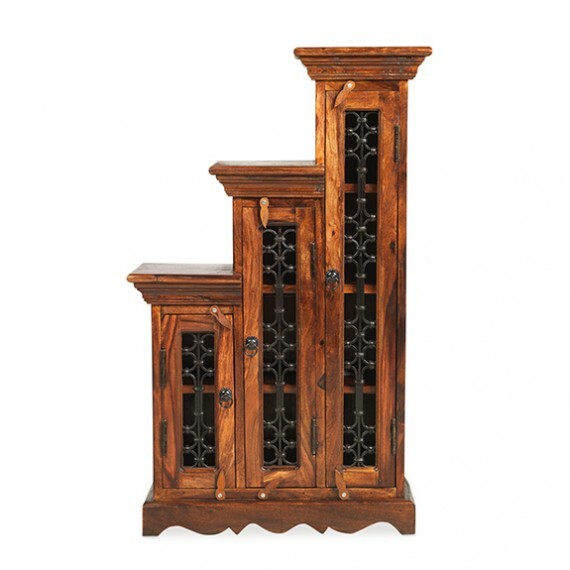 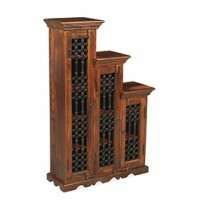 Available in two versions so you can create symmetry on either side of your fireplace or media unit.